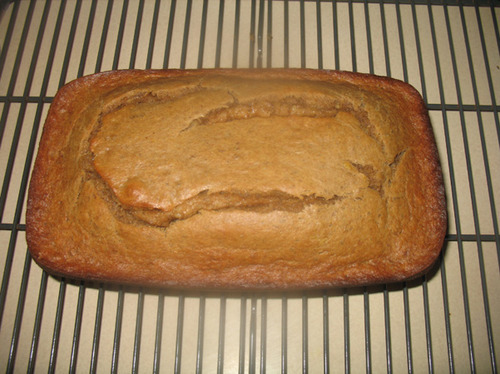 This quick bread brought out the best of the peanut butter & banana combination, and didn’t break the Weight Watchers bank along the way. It’s long gone, but looking at this picture as I type, I wish I were eating it right now. And it came from cookincanuck.com, which is where I also found the delicious Pumpkin Spice Latte Muffins that everyone (including me) loves, and the irresistible Banana, Peanut Butter and Honey Muffins that are always so fluffy and perfect and flavorful. Both are staples around here. 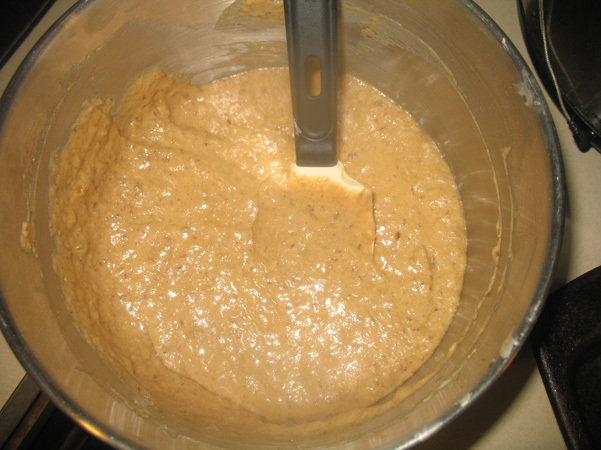 I mixed that, on medium speed, with Greek yogurt, peanut butter (Skippy Natural), and 3 tablespoons of canola oil. I added brown sugar and cane sugar, then beat again. I mixed the dry ingredients separately: whole wheat pastry flour, ground flax seed, baking soda, salt, cinnamon (a full teaspoon), and nutmeg. 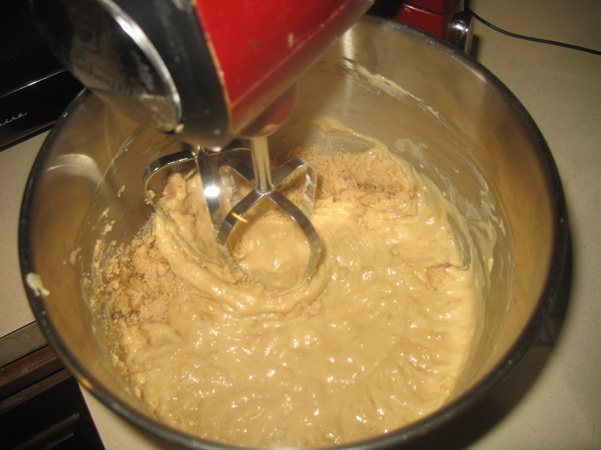 I whisked that together, then slowly added it to the banana and peanut butter batter, mixing on low speed. 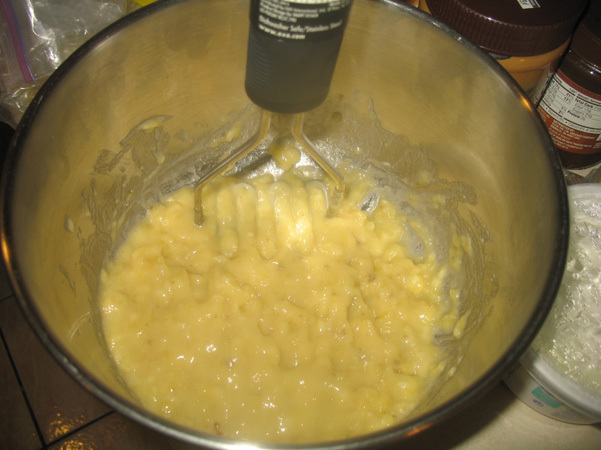 The batter came together nicely, as you can see. The directions said to bake for an hour. I checked it at about 45, maybe 50 minutes, and it was clearly past done, the top was cracking pretty severely. I let it cool in the pan for for a while, not as long as the recommended fifteen minutes since I was worried it had already overcooked. I didn’t need to worry. The texture was perfect, moist but cooked all the way through, with a nice, dense crumb without being too heavy. The flavors came through beautifully. I brought it in to work since we were going away for the weekend the following day, and had no trouble getting all of it devoured, plus a volunteer to handle any of the leftovers. Will definitely make this one again. Update: I made this bread again recently, November 2013. On the day it was made it was just okay, but by the next day it was so delicious as to be irresistible. The flavors take a day to come together and then it’s just heavenly. I could eat half the loaf right now. 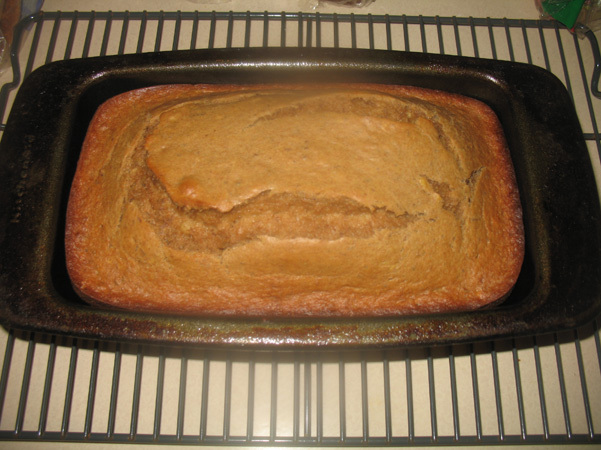 Heat the oven to 350 and grease or spray a 9 x 5″ loaf pan. 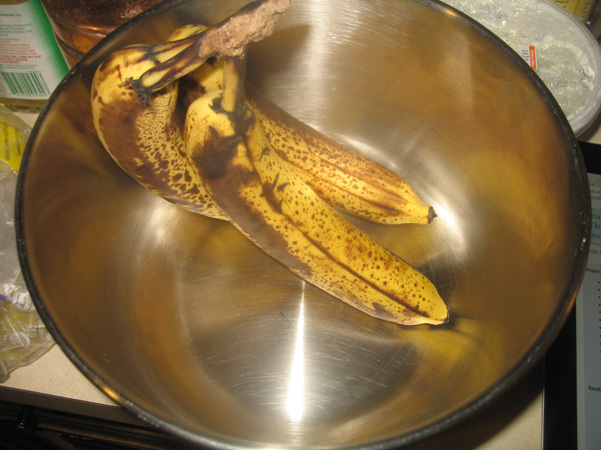 Mash the bananas. 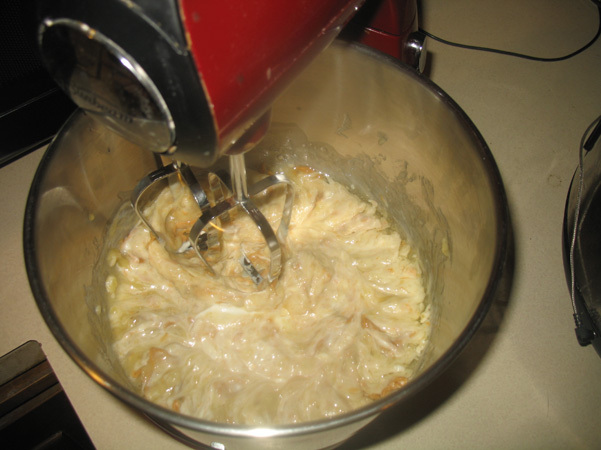 In the bowl of a stand mixer, combine the mashed bananas, yogurt, peanut butter, and canola oil, mixing on medium until well combined. Add the two sugars, and beat again, on medium. 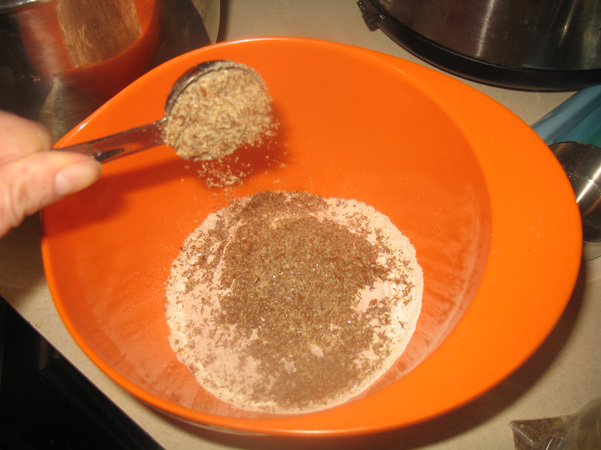 In a separate bowl, whisk together the flour, wheat germ, flax, baking soda, salt, cinnamon, and nutmeg. 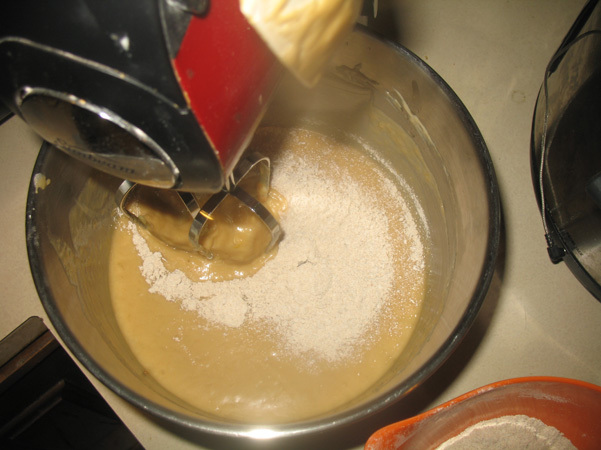 Turn the mixer on low, and incrementally add the flour mixture, beating just until combined. Finish by hand to prevent overmixing. 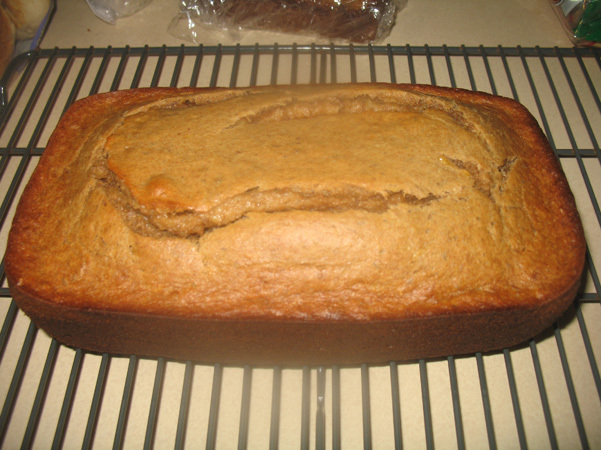 Pour the batter into the loaf pan and smooth out the top. Tap the pan sharply against the counter top twice to eliminate air bubbles. Bake for about an hour, although I’d start checking it at 40 minutes. I’ve had huge variances here, having it be done in 40 and not done for a full hour. I think the bananas are the variable! When a toothpick inserted into the middle comes out clean, it’s done. Let the bread sit in the pan for another 15 minutes, then remove to a wire rack. This bread is best after it’s had a night for the flavors to settle and coalesce.